So I am just commenting but thanks for linking up!! You packed a lot into one post and I love it!! I need to get into sweet potatoes…I’ve just always been weirded out by the ones at Thanksgiving with mallows on top! If I didn’t have sweet potatoes I would die! Today is the first day I had a normal orange sweet potato in a few months actually! 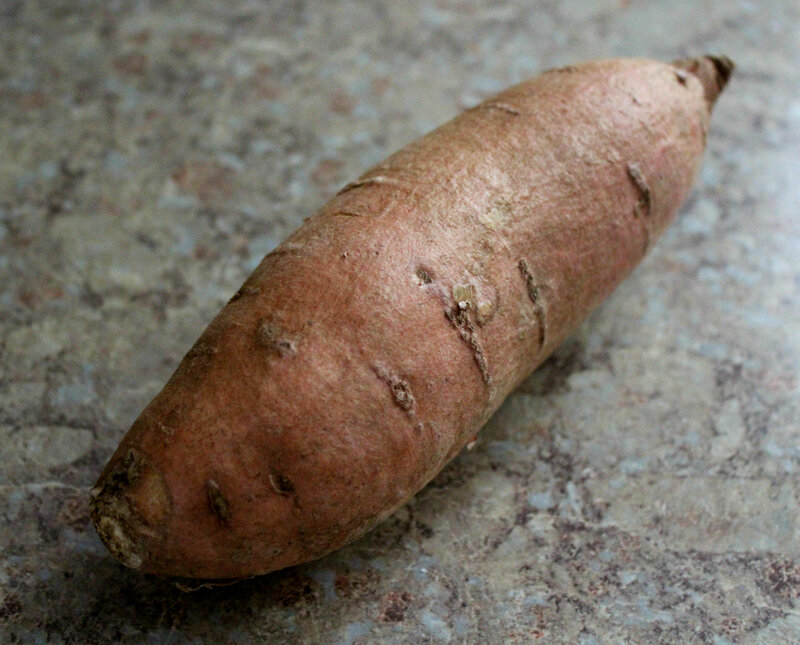 I have been addicted to Purple Sweet Potatoes, but they just went out of season for the year, ah! I have never tried them with Tahini! Sounds great! Great post. 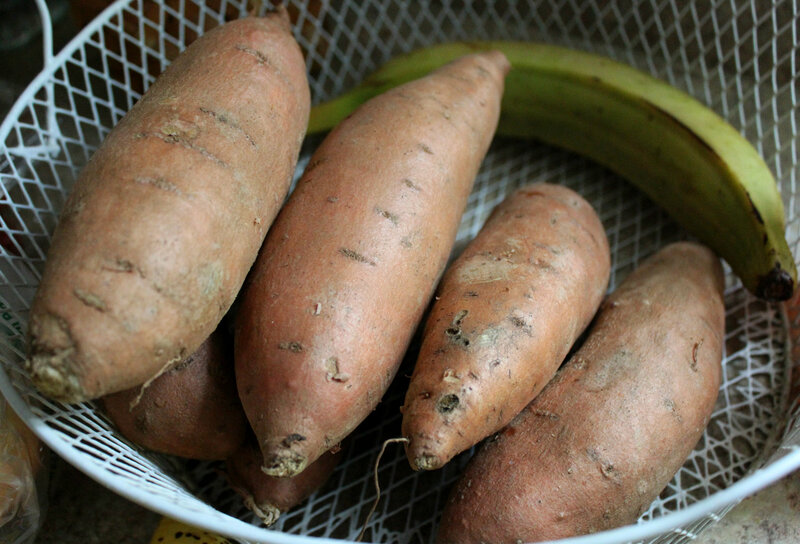 I am trying to eat more sweet potatoes as they are a clean food. Thank you for all the wonderful, yummy recipes. I LOVE sweet potatos. They are definitely my go-to post-run veggie boat. I load ’em up with whatever veg I have in stock. Occasionally I’ll have them for breakfast with pb and a little yogurt. That’s a great idea for breakfast, sounds delish! 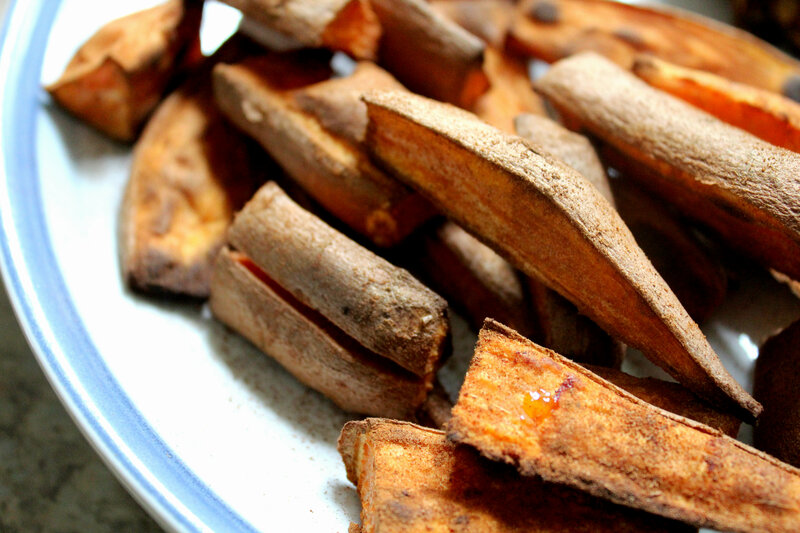 My husband and I make sweet potato fries pretty often but never thought to put cinnamon on them- interesting idea! You can never go wrong with cinnamon! Or even Smoked Paprika, that is amazing too! I’m obsessed with sweet potatoes! My favorite way to eat them is roasted in coconut oil with a little sea salt. Although I also love cooking them in my slow cooker with apples then topping them with almond butter for a post workout carb snack! 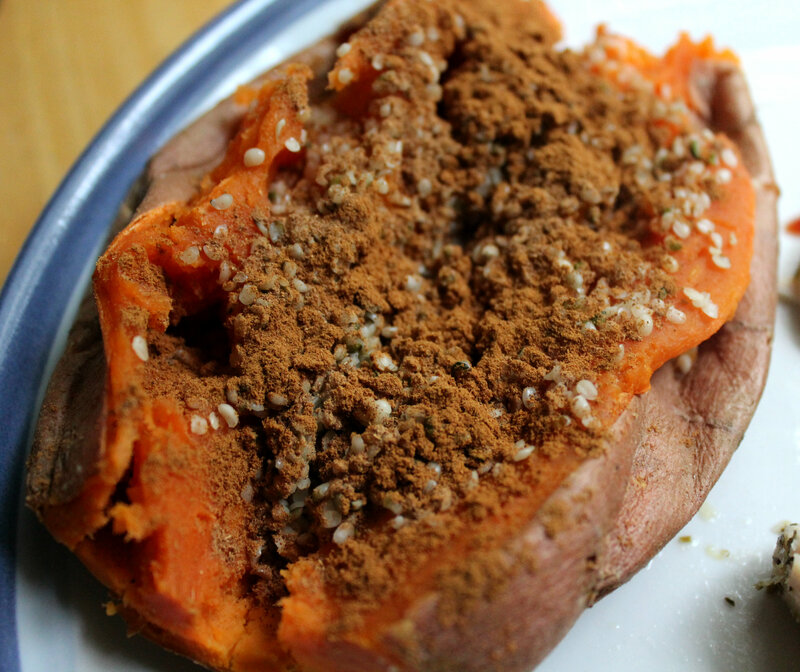 Sweet potatoes and apples and almond butter…sounds like a heavenly combo to me! Hi, Rebecca! Thanks for sharing my recipe, Roasted Fall Sweet Potatoes and Chickpeas with Sprouted Beans 🙂 Cheers!